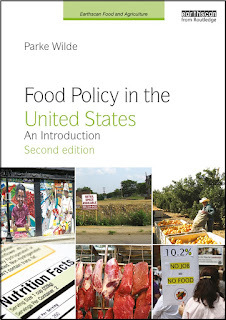 World Resources Institute has a new report series on food and environment issues. 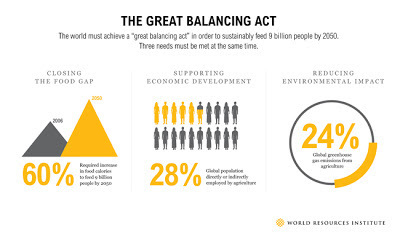 The first installment is on balancing food needs, food production, and environmental constraints. The second installment is on food waste. The infographic below accompanies the first report. Even more than this graphic, I liked the final Table 1 in that report, which contemplates a long list of proposed constructive responses and concisely summarizes how each proposed response might appear to people concerned more specifically with poverty reduction or gender justice, for example, in addition to the basic environmental concerns such as climate change and water pollution. It is both substantially correct and politically astute to anticipate how proposed environmental measures will be received by people who care about diverse public interest goals.